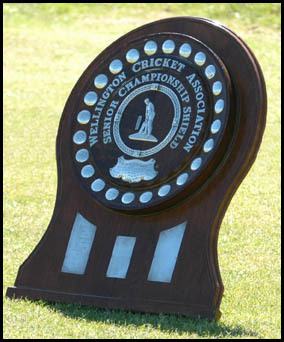 The Cook Shield, which was awarded for winning the Wellington’s mens senior championship for 70 years till 1995 but was discontinued when Wellington amalgamated with Hutt Valley, has been dusted off and given a new lease of life. The competition will be run much like rugby’s Ranfurly Shield with clubs having to beat the holders outright over two days to win it. As defending Pearce Cup two-day champions, Eastern Suburbs will hold the shield initially, with Taita getting the first challenge when the two teams clash at Fraser Park over the next two weekends - 29 Nov & 6 Dec 2008. 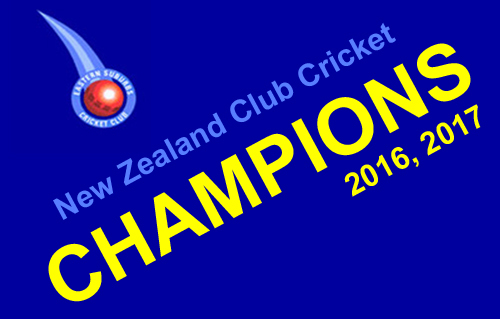 The trophy will be up for grabs for every match and the holders play, home or away. Cookshield out of our Cabinet 2018 !!!! Whilst Cookshield in EASTS Cabinet 2008-2018 !!!! LOSS OF COOK SHIELD !!!! with Richard Pyrah taking 13 wickets for 91 runs.